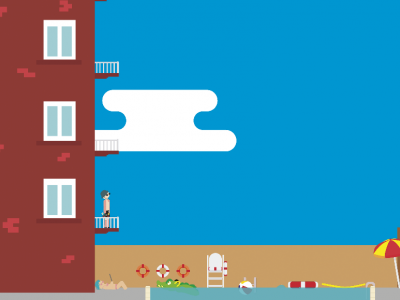 Balcony Diving is an extremely attractive sports game. Your task is to jump from the hotel balcony to the pool safely. Try not to be attacked by the alligator.